Congress passed the “Tax Cut and Jobs Act” (Act) on Dec. 20, and the President signed it into law on Dec. 22, 2017. The new law adopted the Senate Amendment for the 20% pass-through deduction, but it’s not clear how a trading company can use it. Traders should consider other smart moves as the Act suspended investment expenses, retained investment interest expense, and repealed NOL carrybacks. 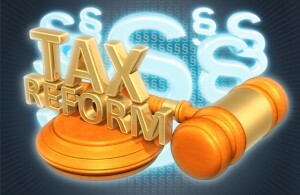 The Conference Report (CR) decided on a 20% pass-through deduction vs. the Senate Amendment’s 23%. To meet the House halfway, the CR lowered the Senate’s taxable income (TI) threshold for “specified service activities” (SSA) to $157,500 single and $315,000 married. The CR retained the Senate phase-out range of $50,000 single and $100,000 married, above the TI threshold. For example, if an individual’s TI is over $207,500 single or $415,000 married, he or she won’t get any pass-through deduction on domestic “qualified business income” (QBI) in an SSA. But, individuals are entitled to a 20% deduction for QBI in a non-SSA at higher income levels, subject to the 50%-wage limitation above the threshold. (See examples in the Joint Explanatory Statement, p. 28-37.) The CR added an alternative wage limitation: 25% of wages plus 2.5% of “unadjusted basis, immediately after acquisition, of all qualified property,” which includes real estate and other tangible property. The House bill had a capital factor, which recognized investment in equipment. I still have a few critical questions about the new law’s impact on TTS trading companies and TTS hedge funds. 1. Are TTS trading companies and TTS hedge funds an SSA? In earlier posts, I thought a trading company was likely an SSA because “trading” is mentioned in the SSA definition. I wonder if the following part of the SSA definition applies to a hedge fund: “the principal asset of such trade or business is the reputation or skill of one or more of its employees or owners.” A one-person TTS trading company does not market to investors, so they don’t have a reputation or brand intangible asset, and this part of the definition should not apply to them. A management company provides the performance of investing, investment management and trading services to a hedge fund. The hedge fund is the customer in receipt of those services. A management company is a general partner of the hedge fund organized as a limited partnership, and the general partner can bring TTS to the hedge fund level. An outside manager would not suffice for the hedge fund achieving TTS. The “specified service activity” term and definition stress the “performance of services” listing various types of service providers. A one-person TTS S-Corp trades for its account; it does not perform trading services for customers. Even if a hedge fund is considered a non-SSA, an active or non-active owner is unlikely to achieve a 20% pass-through deduction due to the 50% wage limitation, or the alternative 25% wage limitation plus 2.5% of the unadjusted qualified property. Hedge funds don’t pay wages, and they don’t own significant qualified property. The management company pays compensation and has business equipment; not the hedge fund. If the IRS considers a TTS S-Corp a non-SSA, there would likely be a 20% pass-through deduction above the SSA income threshold. The TTS S-Corp pays officer compensation of $146,000 to maximize a Solo 401(k) contribution of $55,000 (under age 50, 2018 limit). The 50% wage limitation would be $73,000 (50% of $146,000). $73,000 divided by the 20% deduction is net income of $365,000 in the TTS S-Corp. A spouse might also receive compensation. The Act requires a taxpayer to calculate QBI and the wage limitations on each interest in a pass-through entity, separately. 2. Can TTS trading income, including Section 475 ordinary income, be treated as “qualified business income” (QBI)? QBI should also include ordinary income on a rental real estate activity. The media quoted several tax experts saying rental companies should benefit from the pass-through deduction, which means they consider rental income to be QBI. Those tax experts implied rental real estate companies are likely non-SSA and the 2.5% qualified property factor will lead to more active and passive owners being eligible for the 20% pass-through deduction. If investors in the rental real estate activity can achieve the pass-through deduction on a non-SSA, then TTS traders with Section 475 should have non-SSA with QBI treatment, too. One company invests in real estate, the other in securities, and both have ordinary income. Neither entity performs services for clients. The CR used the Senate Amendment’s definition of “Treatment of investment income” — the QBI exclusion list (full list included below). The Senate Amendment and CR deleted “short-term capital gains” (STCG) from (1), but left “long-term capital gains and losses.” Oddly, the Act itself left in STCG to (1). Rushing may have led to errors. The 20% deduction is on the lower of QBI or modified taxable income less net capital gains. For example, if a trader has QBI consisting of all business-related capital gains, and it’s his only TI, then he won’t get a deduction since modified TI less net capital gains might be zero. If the trader has significant other income, it could be different. It’s much better for a TTS trader to elect Section 475 to have ordinary income: It’s safer to assume QBI includes Section 475 and that modified TI does not subtract Section 475 ordinary income. See the definition (5) below. Forex trading is “directly related to the business needs of the business activity.” Some forex traders might want to retain Section 988 ordinary income treatment rather than file a contemporaneous capital gains election. For 2018, trader tax status (TTS) traders should consider a partnership or S-Corp for business expenses, and a Section 475 election on securities for exemption from wash sale losses and ordinary loss treatment (tax loss insurance). Consider a TTS S-Corp for employee benefit plan deductions including health insurance and a high-deductible retirement plan, since a TTS spousal partnership or TTS sole proprietor cannot achieve employee benefit deductions. Consider this the cake. It puts you in position for potentially qualifying for a 20% QBI-deduction on Section 475 ordinary income in a TTS trading pass-through entity – icing on the cake. If a TTS trader’s taxable income is under the specified service activity (SSA) threshold of $315,000 married, and $157,500 other taxpayers, he or she might get the 20% QBI-deduction in partnerships or S-Corps. QBI includes Section 475 ordinary income, and it excludes capital gains. It might be a challenge for a TTS sole proprietor to claim the pass-through deduction, because Schedule C has trading expenses, only, and trading gains are on other tax forms. Trading in a C-Corp could be costly. If you are interested in this 20% deduction for a trading or non-trading business, I suggest a consultation with me soon. This entry was posted in 2017 Tax Cuts and Jobs Act (TCJA), Tax Changes & Planning on December 20, 2017 by Robert Green.